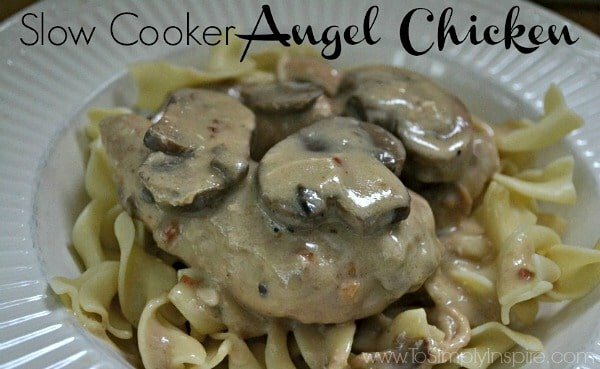 This creamy Slow Cooker Angel Chicken is simple mouthwatering yumminess. Serve over egg noodles for a delicious comfort food favorite. 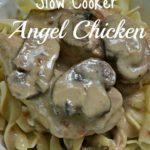 If you are looking for a new slow cooker recipe, this Angel Chicken is so, so good! This is one of those recipes that you can make and everyone just oooo and ahhhh’s at how delicious it is. Serve with Egg Noodles, Angel Hair Pasta or Rice. 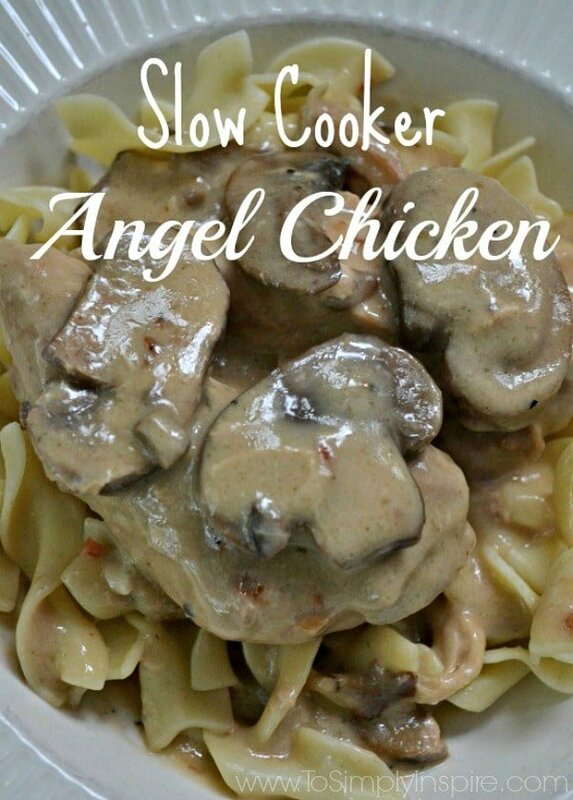 Place both cartons of mushrooms in the bottom of the slow cooker. Place chicken breasts on top of the mushrooms. Add the mushroom soup, Italian dressing mix, cream cheese and chicken broth and stir until everything is blended and melted into a sauce. our the sauce over the chicken. Serve over cooked egg noodles, angel hair pasta, or rice. 1 pound Egg Noodles Angel Hair Pasta or Rice.